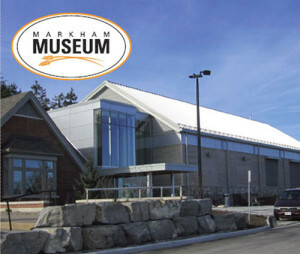 Since 1971, Markham Museum has offered a unique family and educational experience, on 25 acres of parkland, featuring over 20 historic buildings. Presenting the main themes of settlement as it relates to the environment, and the technologies used to adapt to life, the Museum’s many quality programs focus on the continued growth of our community. The Museum’s exhibitions and events engage the community as a whole and attract thousands of visitors to Markham and the Greater Toronto Area each year. North of 16th Avenue on the West side of Markham Road.